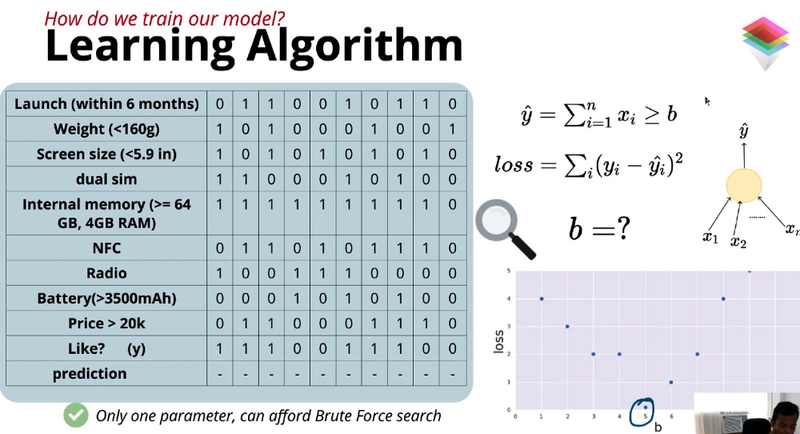 Here we have only one example, so we can afford the brute force search. we will give different values to the threshold (b) and predict the loss. by comparing prediction and loss we can achieve zero loss function.